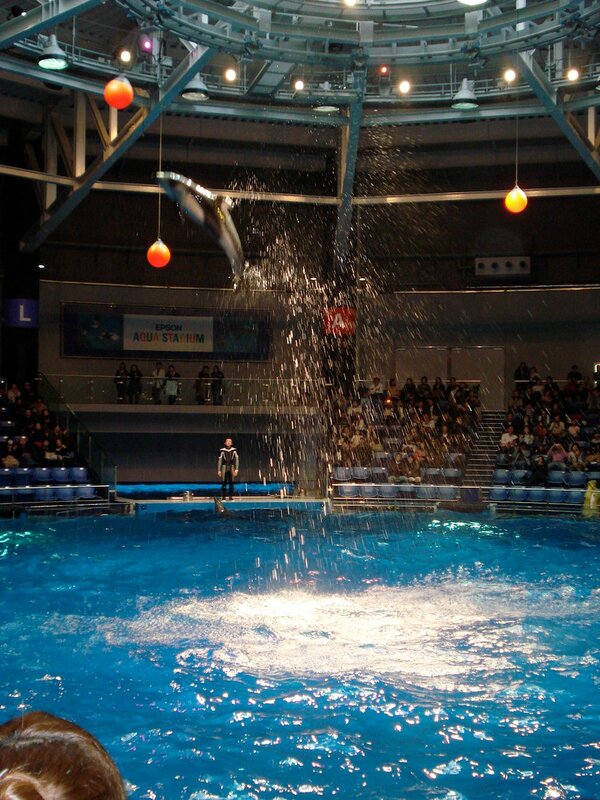 The centerpiece of Epson Shinagawa Aqua Stadium is the large circular arena where dolphins, their trainers and performers put on high energy aquatic shows. Beside this and the sea lion stadium, there is a penguin exhibit, an underwater tunnel and a number of smaller tanks. Shinagawa Aqua Stadium is located at the Shinagawa Prince Hotel in front of Shinagawa Station. It is part of a larger entertainment complex with four rides, a concert hall and restaurants. 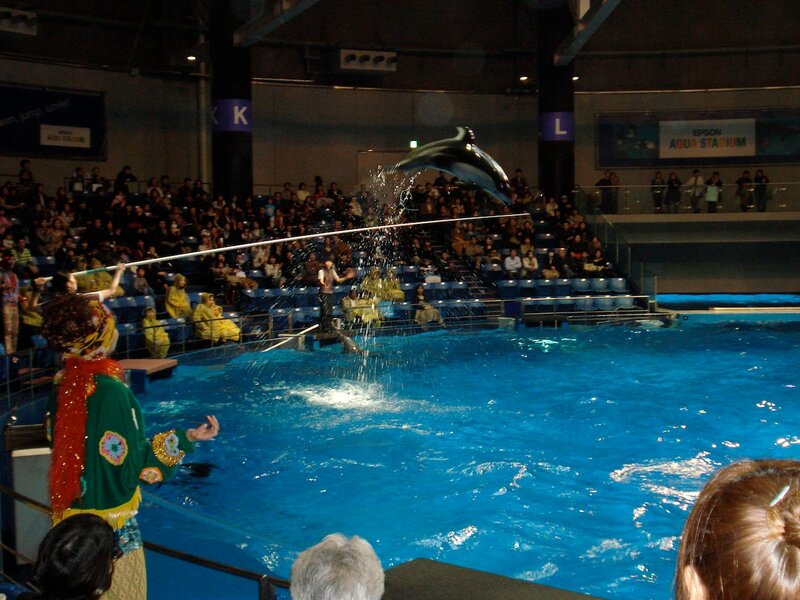 The dolphin show is the highlight of Shinagawa Aqua Stadium. It is best described as a water based circus with no bears in tutus. The seats wrap all around the stadium and, so, every seat has a good view of the action. The front rows are likely to get splashed which is played up for all its worth and more before the show. The human performers do their best to excite the crowd before and during the show. The show itself is a combination of dolphin leaps and singing. It's clearly aimed at a young audience but it is still embarrassingly good fun to clap along. The sea lion show takes place at a smaller stadium on a smaller rectangular raised stage with a small pool in front. 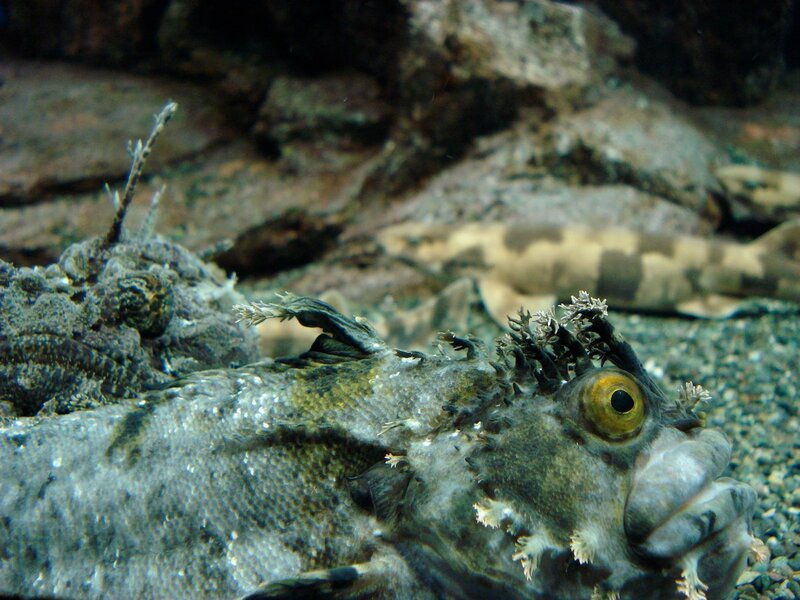 It is slower paced and has more in common with other aquarium shows than the other show. 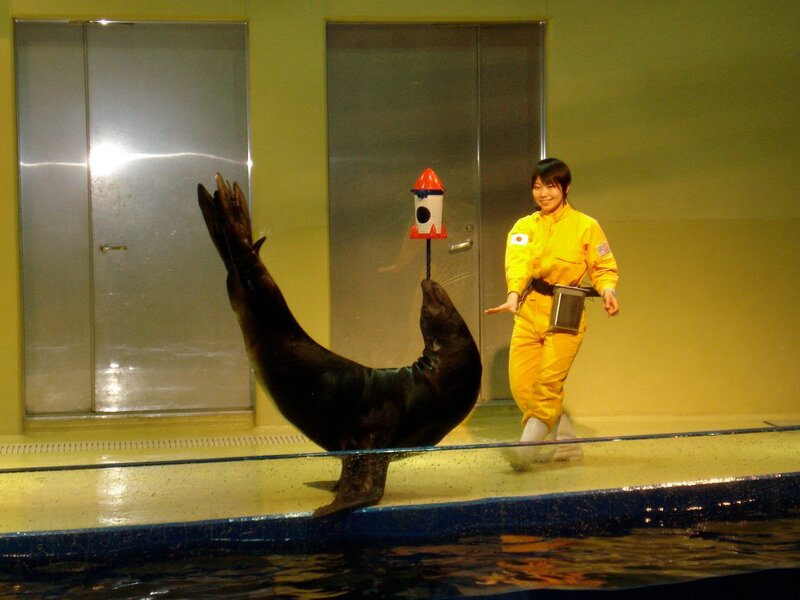 The two sea lions are remarkably well trained and pull off a crowd pleasing set of tricks on their trainers. 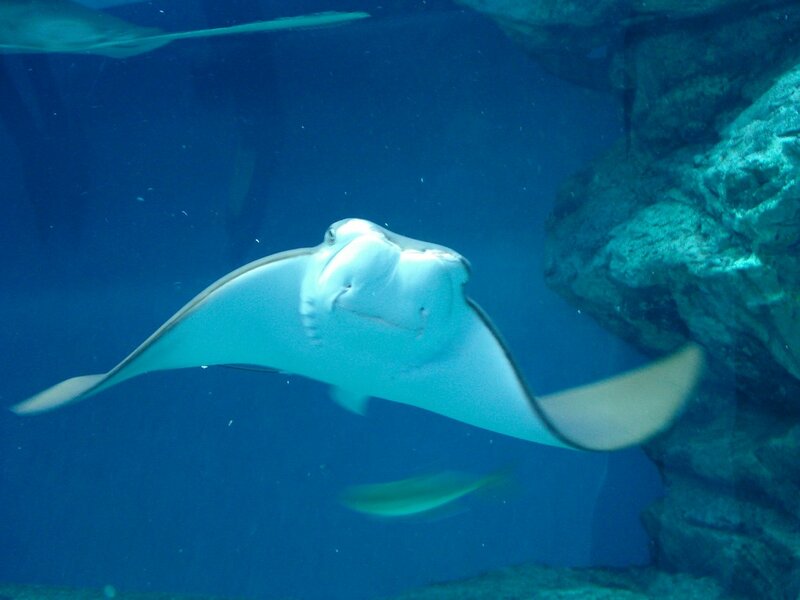 For aquarium lovers, the glass is half full if you like shows. Shinagawa Aqua Stadium makes no attempt to educate. 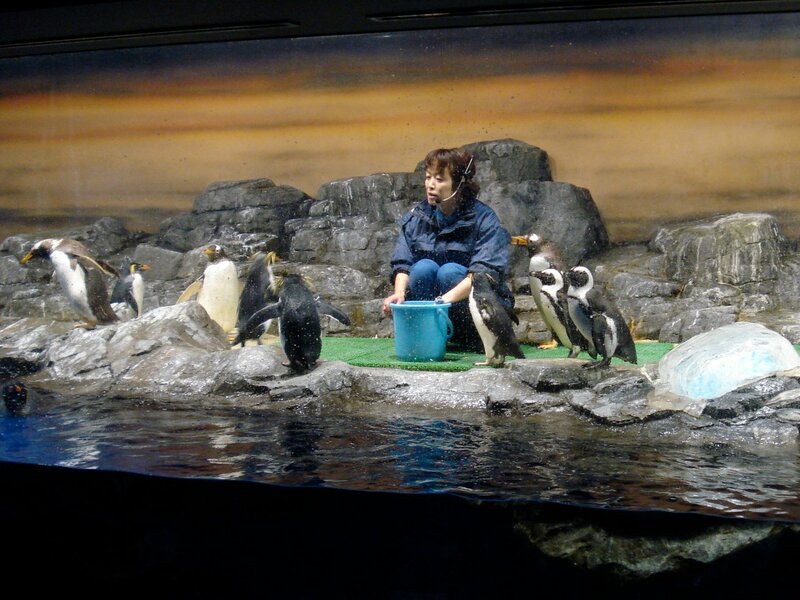 If you are looking to find out about Tokyo's aquatic wildlife then you are better off with Tokyo Sea Life Park or Shinagawa Aquarium. In fact, if you're not interested in shows then the aquarium portions don't have enough value to justify the ticket price. 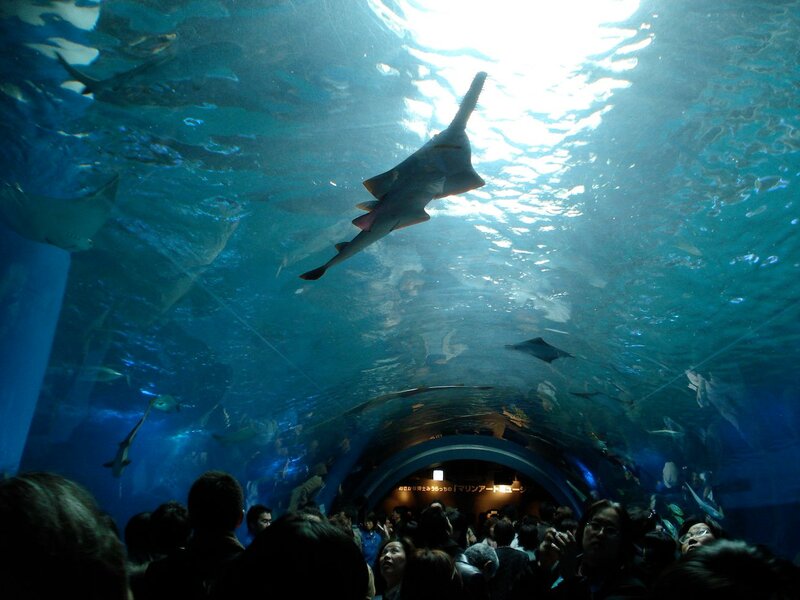 In fact, on busy days, the aquarium portion can end up becoming a waiting room for the sea lion show if you don't get in before the seats fill up. But, from the perspective of a kid, I can't think of any reasons not to be thrilled to be going here. Shinagawa Aqua Stadium is in front of Shinagawa Station at the Shinagawa Prince Hotel. From the station, exit through the west (Takawa) exit and cross the street. There are numerous signs. 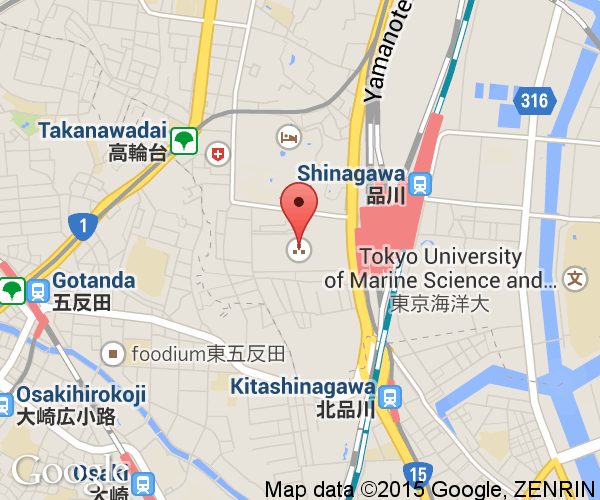 Shinagawa Station is on JR East's Yamanote Line and Keihin-Touhoku Line. It is the terminus for Keikyu's trains that go to Haneda Airport.